In my first post I complained about the endless rain. Fact is, in the first two weeks of October we have had some great weather, including several days of glorious sunshine and NO RAIN. 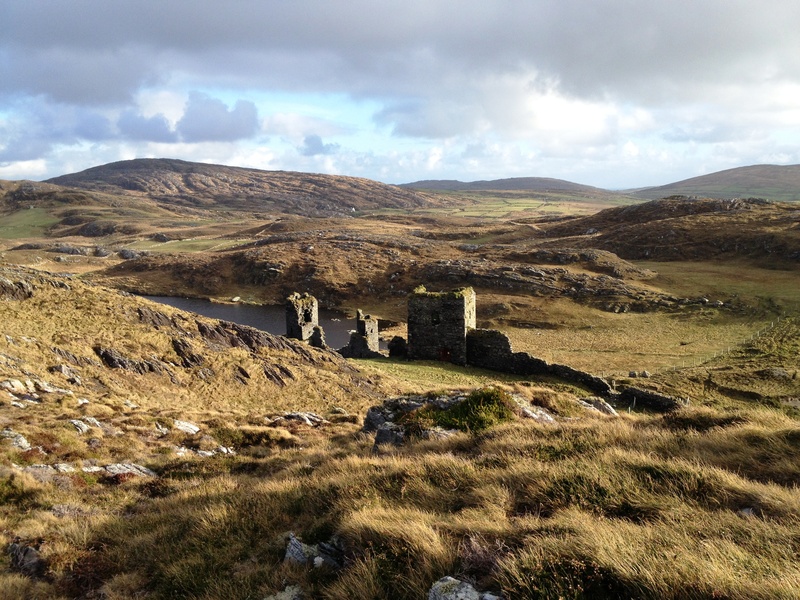 We are fortunate to be within half an hour of the Sheep’s Head Way, a world-class system of marked trails with mountain, coastal and valley hikes of varying lengths but uniformly breath-taking scenery. On back-to-back sunny days this week we undertook to hike parts of the ridge trail that runs along the spine of the peninsula. 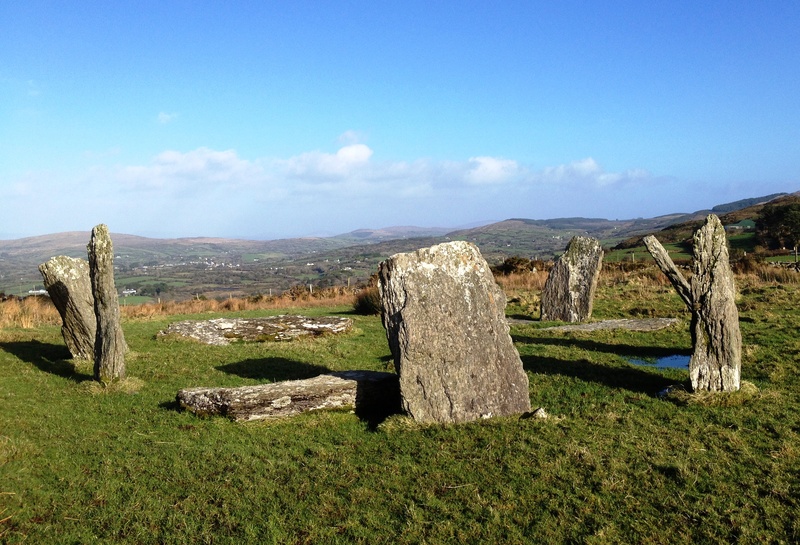 Our first hike took off north of Durrus at Booltinagh Mountain and ran south along the ridge to a high point and over the top to the Barna Mor, or Big Gap – an old donkey trail across the peninsula. Although the trail is well marked and clear it is soggy: waterproof boots are essential along with layers for taking off and putting back on as you heat up, cool off, or see a shower sweeping in from the south west. 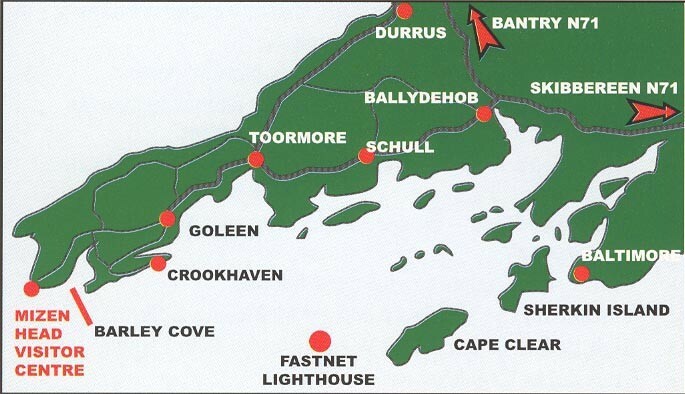 Our views were north to Bantry Bay, all the way back to Glengarriff Harbour and over to the Beara Peninsula. 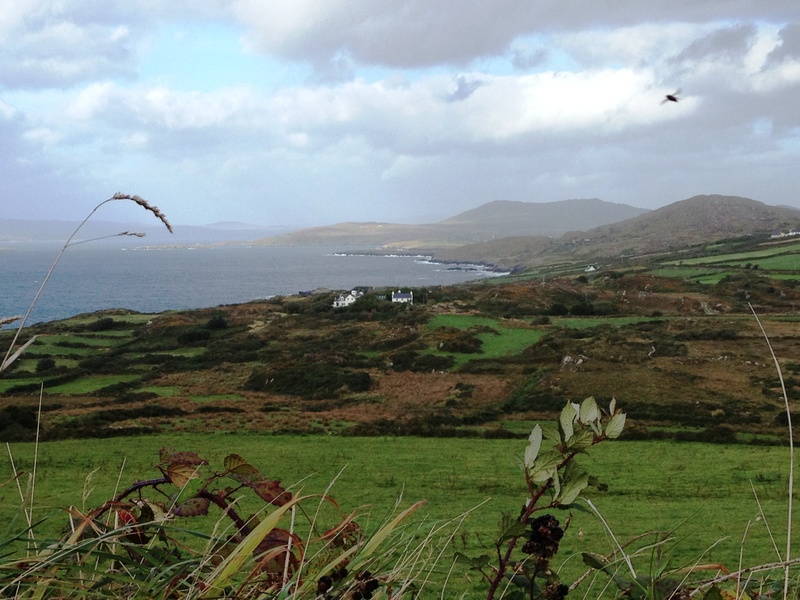 On the other side across Dunmanus Bay lay the Mizen, bathed in sunshine. We shared the trail with sheep, but saw no other walkers. The next day we ventured further west to Kilcrohane, turning north up a steep and winding road to Finn McCool’s seat, a natural saddle on the ridge. This being Ireland, the trailhead is marked by a marble Pieta, perhaps dating to the Marian year of 1954 that saw so many such monuments erected all over Ireland. Once again, we had the mountain to ourselves. Although it was a bright day, a howling wind blew up from the sea below. We leaned into it, and tramped on, to the Peakeen cairn. Along the way we stopped to examine the remains of what may be a Neolithic passage grave, occupying a commanding knoll along the ridge. How important would you have to be to have your tomb in such a place? Perhaps as important to the people who built this monument as the crucifixion images of the Pieta was to the local residents in 1950s West Cork. 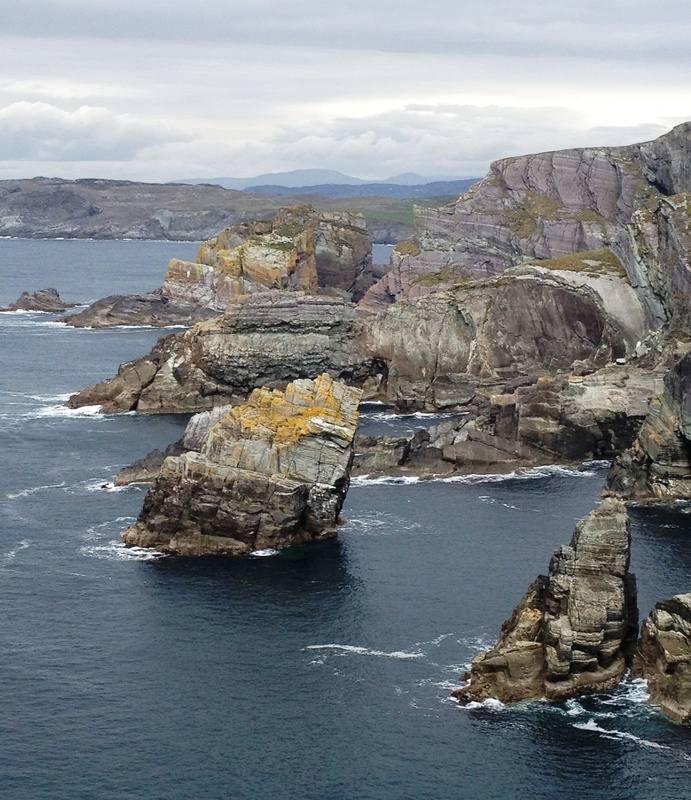 We wondered why this incredible, wild resource that is the Sheep’s Head Way is not a National Park – even a World Heritage Site. Perhaps the answer is that as long as people respect it (and they do – we saw no litter or vandalism) and as long as access is freely given by landowners, there is no need to administer it as a park. 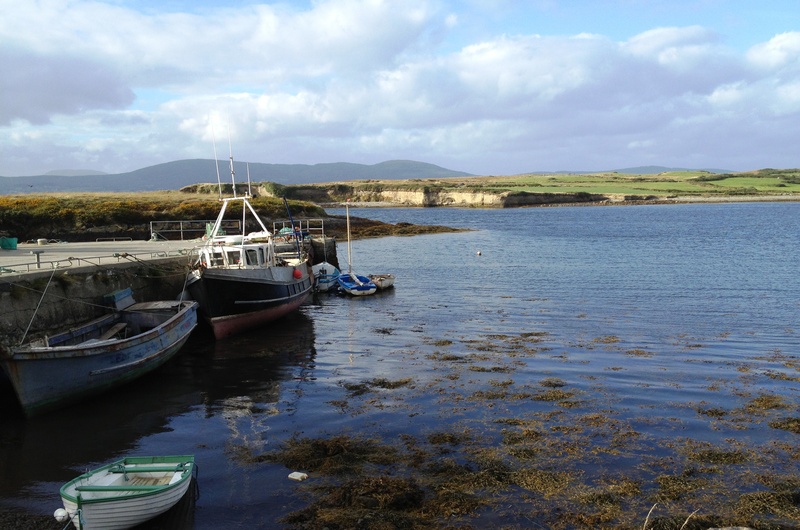 The website for the Way indicates that it receives funding from both Ireland and Europe, but that The Sheep’s Head Way committee is a voluntary committee, consisting of landowners/farmers and other representatives from the local community. What a fantastic job they have done!